Forget the hacked/leaked emails showing that the Democratic National Committee stole the primary from Sanders and handed it to Clinton. Forget whether the Ruskies hacked the emails in an attempt to throw the election to Trump or whether a DNC insider leaked the emails to Wikileaks. 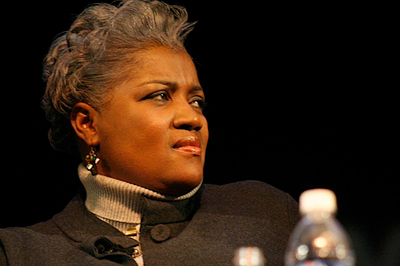 The former interim Chair of the DNC, Donna Brazile, just confirmed in writing that the DNC rigged the election for Hillary. Specifically, she says that a signed agreement between the DNC and the Clinton campaign gave all decision-making power to Clinton – and hosed Sanders – because the DNC was flat broke, and the Clinton campaign agreed to bail it out (and then more or less laundered money through the DNC). Remembers, Sanders might have beat Trump had the DNC and Clinton campaign not sabotaged the primary. So can we all forget about the emails and focus for one minute on the real story: this episode of collusion … and the corruption of the mainstream parties?